Nolensville’s Gary Anderson will said he will run based on his experience when it comes to keeping his board seat in the Fifth District. Anderson has spent the past 25 years on the Williamson County School Board, and this year has acted as chairman. He first ran for the position in 1990. Anderson works in education as the assistant superintendent of Mufreesboro City Schools for his day job, where he’s over finance and nine different departments. The school board veteran put his children through Williamson schools with some of his grandchildren currently attending the system. We have an existing grandfathering and sibling policy, but I think we need to hold firm and allow them to stay the last year where they are attending. We don’t want to split a family, and I am strong advocate for that. It helps soften the blow. No one wants to go to a new school, and they usually love where they are are at. I want to have as close to a community school as we can. Elementary is tight knit, middle school is a conglomerate of families and high school is a bigger community picture. We are going to continue to grow. Every time we open a school that means we have to rezone. We’ve been fortunate to not open in five or six years. No one in Williamson County Schools wants to be rezoned, and it’s the reality that we have to do something. There are two types – Benchmark or formative. The Benchmark is our decision, so that’s where we can tell where our student is. Most are focusing on the state testing, and yes, there is too much testing and then they split it into two different parts this year. So I would love to see them do something different. It’s such high-stakes testing. You have pressure on teachers and the entire district, and that feeds through to the families. This year because we switched to what was supposed to be online, we had to make sure they were keyboard literate. The question that came is, are we testing the knowledge of the material or the ability to type? So a lot this year went into preparing not only for the material of the test, but how to take it. Common core is dead and it doesn’t exist. But the part I want to make sure everyone understands is that we will go above and beyond the standards and we will go above the new state standards. I’ve not seen the new test and they’ve done for English-Language Arts and the math. They are working on the social studies and science now, and I am counting on that we will be updated. I know our professional educators will go above and beyond on what they are showing. You can’t ignore religion and it’s impact on history. The difference I want to make is we teach about the religions but we don’t teach the religions. They teach the impact it had on war and not the religion itself. That’s the big difference in how this is looked at. I think our district is in excellent shape. 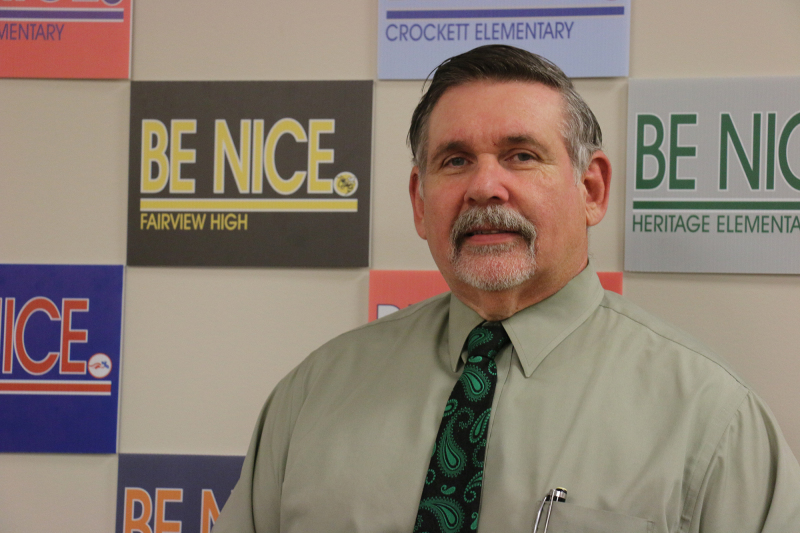 It’s very strong all the way down to Dr. [Mike] Looney to central office administration to the school-based teams. We are in a good position. We typically hire the top 10 percent of applicants and that speaks volumes that that many people want to work here. We pick the best. Even as we progress, we can attract the best people. The thing that has always set us apart is the community and parent involvement. Other districts would beg for it, and it’s one of the best things we’ve had. I moved to Williamson County Schools to get my kids here when they were little ones. I remember going to the PTO meetings and the fundraisers. I was at Nolensville Elementary with the Williamson County Parents Association, and it’s evolved. Today they do a lot more. It was a grassroots effort then. I think the growth will need our biggest attention. We’ve averaged about 1,000 a year for the last several, and it’s getting faster and faster. That’s going to take our attention, and how do we handle this growth in any form or fashion. We need to make sure of the financing with the county and the state. Williamson County receives one of the two lowest amounts in the state, and it floats. We need to continue to hire and keep the best teachers and support staff we can. When we get the kids, we have to make more schools. It’s kind of like we create the desire people to live here in our county. If you ask, the majority they will say that.